The Sapa View Hotel is a new hotel, 3-star standard international. 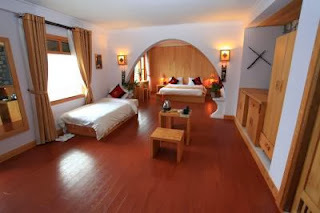 Situated in a strongholdlike building it is one of the most characteristic hotels in Sapa.30 rooms are overlooking the beautiful valley that surrounds the formal hill station that Sapa was. The other rooms have garden view. Come and stay with us, enjoy the most comfortable atmosphere and an ambience of elegance. Our well trained, responsible and caring staffs are ready and happy to serve you. 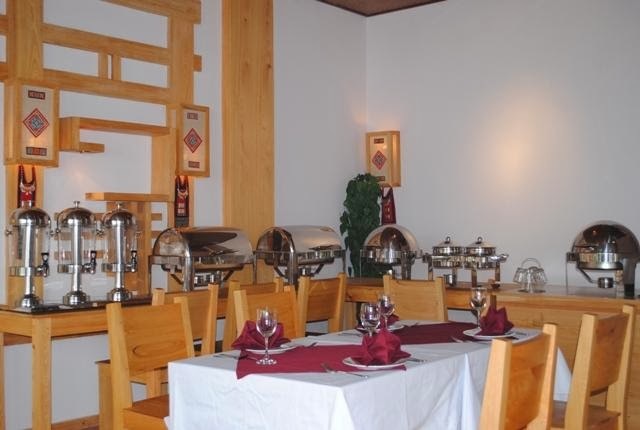 - Restaurant: Big restaurant on 1st floor, facing the valley,can accommodate up to 200 pax. 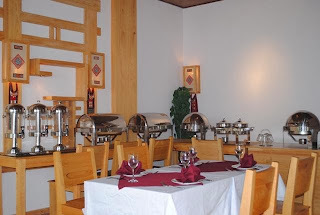 Asian & European cuisines are available. - Transportation from lao Cai train station to the hotel and back to lao Cai - 24 hours front desk & 24 hours security team at the hotel's entries. - Tour information and booking, providing private tours in Lao Cai and Lai Chau provinces. - Free internet service and Wi-Fi access in the lobby and restaurant area. - Administrative assistance and flight/train reconfirmation and booking services. - Express or regular Laundry service and free shoes cleaning service. - Pick-up service from Lao Cai station to Sapa.